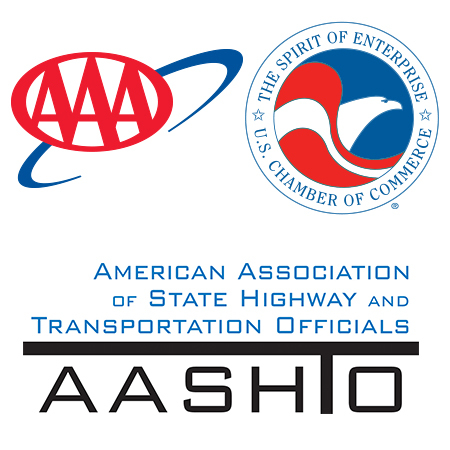 State transportation departments have one week left to nominate up to three projects for the 2014 America’s Transportation Awards competition. All nominations are due online Friday, April 18. The competition recognizes the best transportation projects across the nation each year by state transportation departments. The competition this year will showcase projects that finish under budget, those that feature exceptional uses of innovation, and projects that improve the quality of life and development of communities (a new category for the 2014 competition). The Quality of Life/Community Development category will recognize transportation projects that have contributed to the general quality of life and economic development of local communities. These innovative projects help connect people to businesses, jobs, health care facilities, and recreational activities while encouraging a mix of transportation modes. Projects nominated in this category should demonstrate community involvement and interaction, and must illustrate the public benefit for customers/users (e.g. safety, economic development, improved mobility, access to public lands/open spaces, etc.). Within each category, projects compete in three size groups: large (more than $200 million), medium ($26 million to $199 million), and small (less than $25 million). Projects first compete on a regional level (for which winners are announced during the summer at AASHTO’s regional meetings), after which the 10 projects with the highest scores move on to compete for the national Grand Prize and the People’s Choice Award, the winners for which will be announced at the 2014 AASHTO Annual Meeting, held in Charlotte, N.C. in November.